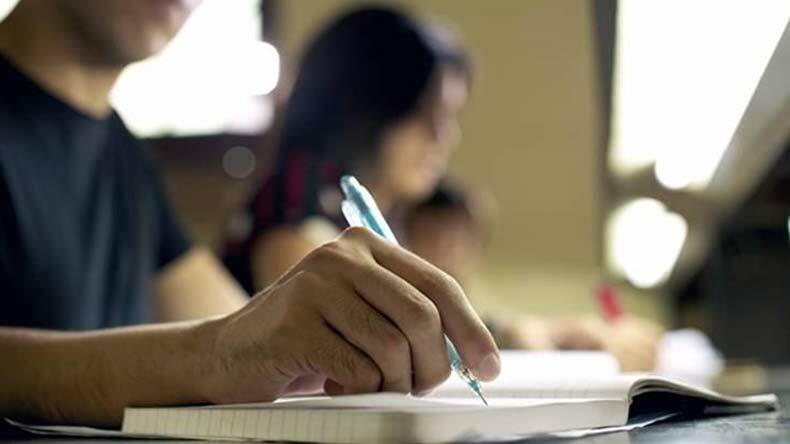 The crackdown on cheating mafia by Uttar Pradesh government-led by Chief Minister Yogi Adityanath has resulted in more than 10 lakhs students dropping out from UP board examinations. However, in a bid to get passing marks in the exams, some students have been using other means. Recently it was reported that the invigilators found Rs 100 and Rs 50 notes inside the answer sheets. Taking this a step forward, a student blamed love for not being able to prepare for exams. Meanwhile further disclosing the unusual paths chosen by the students to get marks in exams, a district inspector of schools in Muzaffarnagar, UP said that they are getting currency notes along with weird and emotional messages but the required answers. Sharing a few of the funny messages written by the students in their answer sheets, the official said some students wrote, ‘Guruji, pas kar dein. Chitthi tu ja sir ke pass, sir ki marzi fail karein ya pass’. Another student wrote, ‘I have got no mother and my father will kill me you fail me’. With all the emotional messages and bribes the only thing missing in the answer sheet are the required answers. With such incidents surfacing, the UP Board exams seem to have become more of a Bollywood drama than being a serious affair.